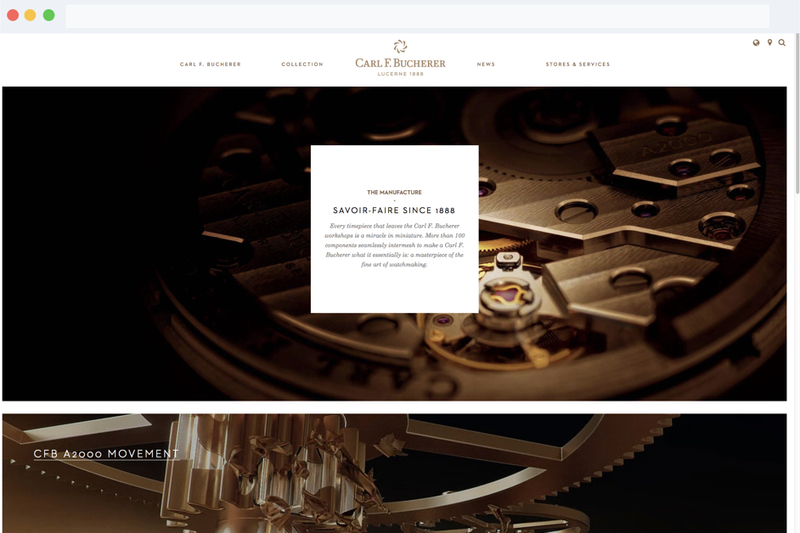 Carl F. Bucherer is one of the oldest and most reputable luxury Swiss watch manufacturers. Carl Friedrich Bucherer, the founder of the brand, was known for his unique business approach which gave birth to a brand with an outstanding authenticity and sophistication. Today the brand still develops outstanding watch models in its own workshops: more than 100 components are seamlessly combined in one masterpiece, creating a stunning example of world class watchmaking. The company is currently aggressively expanding into different markets including Asia, showing record-breaking sales. 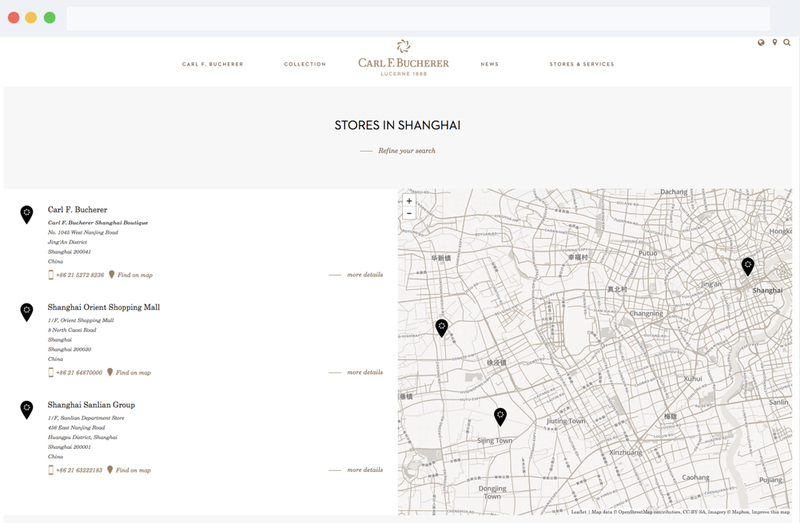 The brand started to develop its website in Europe, where a local agency took over the deployment of their assets, while ITC was in charge of its implementation in China: for the latter version, the initial challenge was to build a robust store locator. During the evolution of the partnership with the Swiss watch brand, ITC started to be in charge of the global project, which meant a growing level of responsibility and increased partnership. 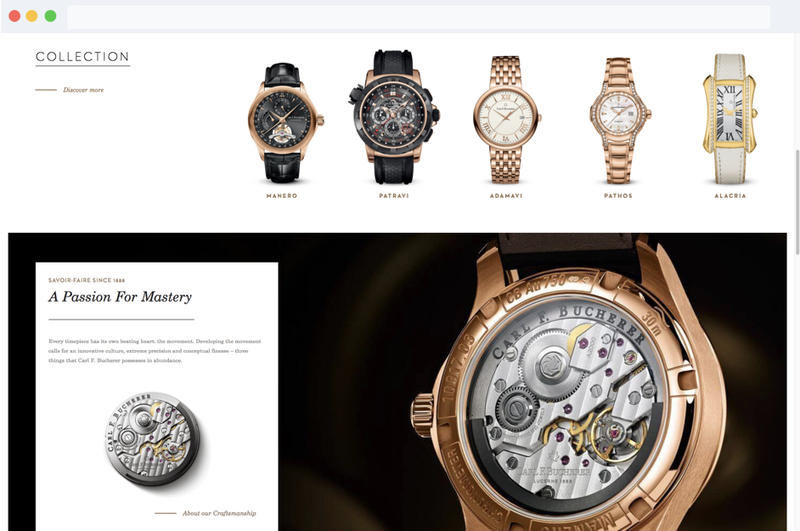 It is worth mentioning that it is crucial for luxury brands to find the most appropriate way of going online, and this is even more true for a brand as sophisticated as CFB. Working with the Digital Luxury Group team, it was necessary for ITC to be very detail-oriented in order to handle all the upcoming demands from CFB and aim for the best digital performance possible. CFB had multiple developments to be tackled, all of which needed careful planning and execution. The work led by both company improved dramatically the homepage UX, with the UI being in continuous improvement. Thanks to a rich experience in localizing online assets, the development team was able to provide the most appropriate solution for this case, in particular providing not only Chinese, but actually 7 different languages in the front-end, all managed from the same backend. In order to guarantee the fastest performance possible both outside and inside the Great Firewall of China, the development team used Varnish accelerator, designed for content-heavy dynamic web sites. In addition, the development team applied Google search for the rest of the world and Bing for China. Also an advanced, yet user-friendly store locator with 7 languages, geolocation, and integration with Leaflet map was integrated. As senior Drupal developer Yves Derkac explains, “this store locator is displayed on two different servers. As such, it is mostly working through additional custom services, like route generating system, multi-language store importer, ITC service loader for dynamic services and domain switcher. Also, the Chinese version of this website is accessible via two different urls: the .com.cn for non logged users redirecting to the Chinese server, while the .com/zh-hans is specifically for admins, so the content management can be done through the french server. Furthermore, the Inbound Outbound processors that was set up rewrite the links generated on the HTML page, so both logged and unlogged user remain on the right server/domain, without adding an extra layer of content management - this is a fantastic feature to grant speed, accuracy, and a great experience." In addition, Tinypng was implemented to make the website load faster, empowering it with dazzling speed by applying start compression to the images without losing quality. It was also suggested to use automatic push to production from the pre-production environment so they can be identical which greatly reduces human errors. Regarding SEO, Yves commented that “in order to really optimize the website, the development team used custom events and events subscriber to override the dynamically generated route without interfering with initial generation process, as well as custom tags, meta tags and outputted HTML through the HTML Response Attachment Processor”. About the future developments, the dev team is constantly striving to remove as many hooks as possible, so that they can always implement new Drupal releases. When bringing their assets online, the aim was to reflect and preserve all the main traits of CFB, such as high class, state-of-the-art craftsmanship and reliability. The result is a stunning website, fully delivering CFBs values and brand image with a fantastic user experience. Thanks to an ongoing partnership, improvements are constantly applied to the website, ensuring the website is always a step ahead in the digital arena. Being a partner of such a famed brand is truly an honor, and ITC is looking forward to enhancing and sustaining their online assets for the years to come.